Sorry for the pause in posts – but I was traveling to Israel and now that I am back I hope to keep the posting back to a regular weekly rate. I travelled to Israel for this year’s sommelier – a wine event held in Israel that is normally attended by many of the upcoming and established wineries in Israel and abroad. I also went all around the country to more than 10 wineries and it helped me to get a very good feel for where the kosher Israel wine industry is now and where it is moving to in the next few years – wine wise anyway. The event was originally marketed towards smaller and mid-sized wineries and distributors for restaurants, wine shops, and hotels to come and see the wineries that are scattered all over Israel in one place! Over time the event has ebbed and flowed and is now more of an event for smaller wineries to really spend their marketing dollars to garner the biggest bang for their buck. My personal fear is that in the coming years, this will fade, and start to get segregated much like it is in the USA. There are already many city oriented wine events, like the Judean Hills wine event and the Binyamina and Tel Aviv events. Add to that the famous Jerusalem wine event for kosher wines before Passover and I fear that things the Sommelier event will start to move away from a fairly well set of distributed and independent wineries to either a set of wineries run under a few select distributors (like HaKerem, Shaked, The Scottish Company, HaGafen) or worse – to a place where only a couple reign supreme. This will all play out – I fear – to the tune of follow the money. Still, the hope is that the need for small players and some medium ones as well to keep a good and well-lit profile – may mean that the event will stay safely away from the vertical plays going on in the USA. With all that said, I was very impressed by the event overall this year. It was not over the top and almost drunken like last year, when Tabor was doing Mixology with their beautiful wines! Sadly, the wines were not as impressive as the event was overall. This year the event managers were smart enough to NOT lay down a temporary flooring – THANK GOD! For the past few years that temporary flooring reeked of glue and plastic and made smelling wine an almost impossibility around the winery stalls. It forced me to go to open areas smell the wine and come back and forth and so on until I was done tasting that winery’s wines. This year the lack os such “extra” flooring was a true god send! The last time we met the folks at Tura Winery, I was taking my Nephew around the country and I was freaking out about the roads and the such. This time, it was just me and GG and GG was driving, so I was far more relaxed, to say the least. Also, this was the third time I have visited the winery. The first meeting and the wines tasted there can be here, the second I did not, but my notes on those wines are listed below as well. I thought a third time would be a charm, and boy was I right. Things have changed since I first visited Tura in 2012. 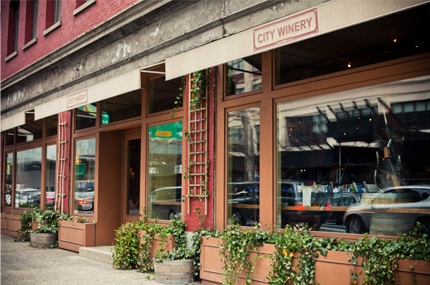 The winery has grown from 10k bottles in 2000, to 25K in 2013, and then 56K in 2014. They will not be releasing wines in 2015, as that is shmitta. Beyond the growth of the winery, the real change is the quality of the wines being produced. Sure in 2012 the Merlot was wonderful, but now with the help of Itay Lahat, things are really looking up. It has been four years in a row, of some of the worst wine vintages in recent Israeli history, 09/10/11/12 and the wines have been improving year after year. Many think 2012 was a great year, but actually it was far hotter in some regions and out of control as in 2010. The best vintage in sometime (since 08 anyway), in Israel, was the 2013 vintage – most call it perfect. We did not taste the red wines from 2013, but the whites from 2014 are showing beautifully. My last post on the Shomron wineries; Tura and Har Bracha, showed my respect for the passion that the Shomron wineries show for their land. This post is all about the impressive growth in wineries like Gvaot and Tura, and hopefully in Psagot with the Yaacov Oryah joining the ranks. Still, this post is about Tura Winery. The winery is the brain child and life of Vered Ben Saadon and her husband, Erez, the winemaker and viticulturist, who are also both deeply religious and deeply passionate about the very land they planted their vines upon. This is not a discussion of Zionism or rights, this is a simple statement that the people I met have a deep religious, personal, and deeply passionate relationship with the land of the Shomron. For Vered and Erez, their deep relationship with the land started in 1995, befitting soon after they got married and started their own relationship together. It started with a few acres of organic apple fields, from there they bought some 20 dunam of land on the top of Har Bracha (yes the same place where Har Bracha Winery planted their grapes, though Erez was there first by a year or so). In hindsight, you can say it was luck, kismet, or maybe destiny, but the very land they planted and nurtured became some of the most sought after vineyards in all of Israel, and in the Shomron for sure. Why? Simple, as I have stated a few times now, Merlot from Har Bracha is a real “bracha” blessing, and one of Israel’s no-brainers when faced with a wall of kosher Israeli wine. This past weekend we had a few friends over for a lovely Friday night dinner, and I decided it was time to drink some great kosher Merlot wines. To be honest, to me Merlot is one of those wines that rarely find the sweet spot, it either boring, nondescript, or overly green. However, there are still many great Merlot wines out there. 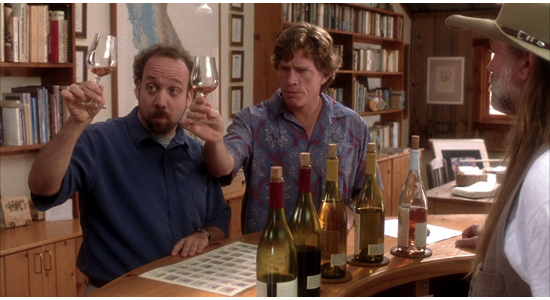 Of course this was Miles point in the now famous, but to me disgusting movie called Sideways. I felt that the subject matter was so poorly projected that I always feel sick when I think of that movie. Still, the debased yet highly quoted cult movie had a huge impact on the Merlot and Pinot Noir sales in the US. It was the average Merlot’s nondescript attributes that so viscerally turned the protagonist off of the grape variety. Clearly, as I have described many times, here most recently, and more in depth here, that his prized Cheval Blanc was made up of the very varieties he so deeply despised and dissed in the movie, being 66% Cab Franc, 33% Merlot, and 1% Malbec! We do hope that the irony is not lost on you, as it was certainly not lost on the producers! A fair amount of the problem starts in the vineyard, as always wine is 90% vineyard management, 5% winemaker, and 5% science/luck (those number can be moved around a bit but not much). Some of the very best Merlot wines out there are French. For instance one of the famous kosher French Merlot wines out there are the 2005 and 2006 DRC – Domain Roses Camille. They hail from the Merlot dominated Pomerol wine region of Bordeaux. The DRC is mostly Merlot with a bit of Cabernet Franc thrown in, while the non kosher and world-famous Petrus – is mostly all Merlot with a bit of Franc thrown in some years. There are two other French Pomerol kosher wines, the Chateau Montviel and the Chateau Royaumont. I recently tasted the two of them, and I loved the 2003 Chateau Montviel, while the 2011 Chateau Royaumont was nice enough, but at that price, a B+ wine is not worth the effort for me. France has cool summers and some years are great while some are not so much. However, in other regions where heat is the not the issue, it is about elevation and the land that makes the grapes sing. For instance, to me, the best dollar for dollar kosher Merlot wine out there has to be Four Gates Merlot. The DRC is fantastic as is the Montviel, but the DRC is vastly more expensive and the Montiel is harder to find. That said, outside of Santa Cruz County, the next best option is Israel, and that is like saying the best place to play golf in the world would be in the middle of the Sahara Dessert! I am way behind on notes – so I will keep this short and sweet. Two weeks ago, I had a lovely shabbos with sushi and some great white wines, and some leftover “port” for dessert. The Hagafen winery whites continue to impress (other than the chardonnay), and Herzog Cellars Chardonnay reserve is oaky as always, but controlled and lovely. Finally, the Tura Portura, from Tura Winery was nice and showed almost exactly like it did when we visited, so that was nice as well. This wine continues to impress me and one that I never get tired of. It is a step beyond simple quaffer, with great balance of 2% residual sugar and great acidity, controlled with lovely tropical fruits. The nose starts off with sweet notes or tropical fruit, clear honeysuckle commands the nose, with pineapple, and candied grapefruit taking the side stage. The mouth is rich and layered and truly captivating with an almost oily texture from the sugar, along with banana, peach, more tropical fruits, along with tart white cherry. The finish is long and sweet with a great balance of tart to sweet fruit, sour red apple, and guava. Bravo! The nose starts off with a lovely floral perfume, followed by quince, rich funk, oak, all over layered with guava and green apple. The mouth is lovely for the first 4 or so hours, with a crazy viscous almost oily texture, coating the mouth with rich oak that is controlled along with baked apple, peach cobbler, and sweet herb. The finish is long and oaky with white chocolate, sweet cedar, more baked goods, fresh fruit, and lovely orange pith. This is a wine with great structure and body – but the body gives way with time, so drink this now and do not leave the wine open too long. This wine was made from late harvest Cabernet Sauvignon that was pulled from the vine at 34 brix and then aged in oak for 34 months. The wine starts off with a crazy sense of alcohol and sugar coating fruit, over time the alcohol blows off and what is revealed is a lovely bushel of ripe sugared fruit, candied raspberry, candied cherry, sweet date, fig, packed with dried nuts and sweet herb. The mouth is huge, layered, and insanely concentrated, with deeply expressive and extracted fruit, mounds of chocolate, crazy notes of concentrated sweet and candied fruit, mounds of fresh spices, rich mouth drying tannin, along with a lovely attack of cinnamon bark, cloves, and heat that gives way to sour/tart cherry, sweet tobacco, and a great balance of acid and body that grabs and keeps your attention – BRAVO! I am really behind on my blog, as I have been busy with a new hobby which is taking up all of my time. Anyway, I wanted to highlight the meal we had two weeks ago which was in honor of my nephew and his beux leaving the area to go east. So in honor of them, I wanted to try a bunch of Israeli Merlot wines. Now, when people think of Israel, Merlot is not first on their mind, mostly because many do not appreciate Merlot, which is done incorrectly tastes bland and benign. That blandness and lack of character, was initially its draw, but over time, it was nuked both by the Sideways effect and by its sheer lack of anything fun. The folks in the know, would blank at Merlot from Israel, given the areas hot climate, which is counterproductive to making good Merlot. 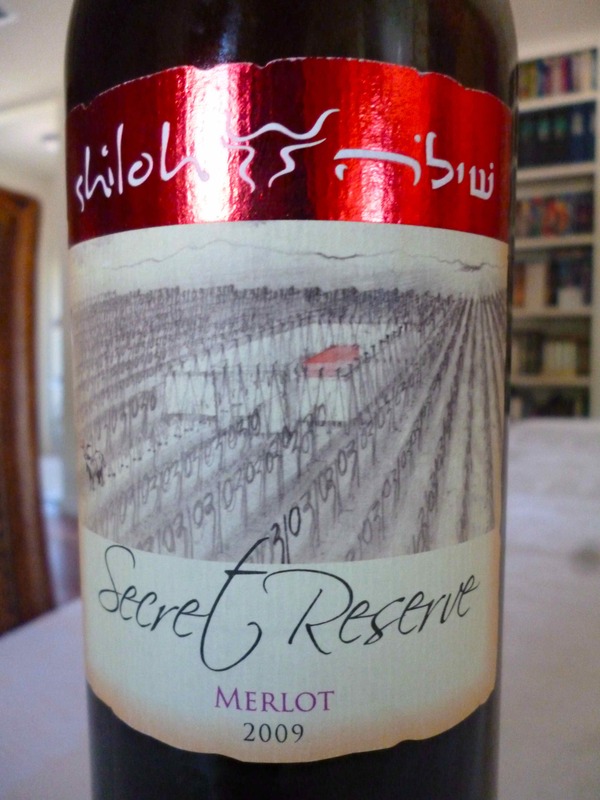 The truth is that I have been talking about Merlot from Israel, but Merlot only from the Shomron region, a region that has found a way to harness what Israel has to offer and channel it into lovely and rich Merlot. 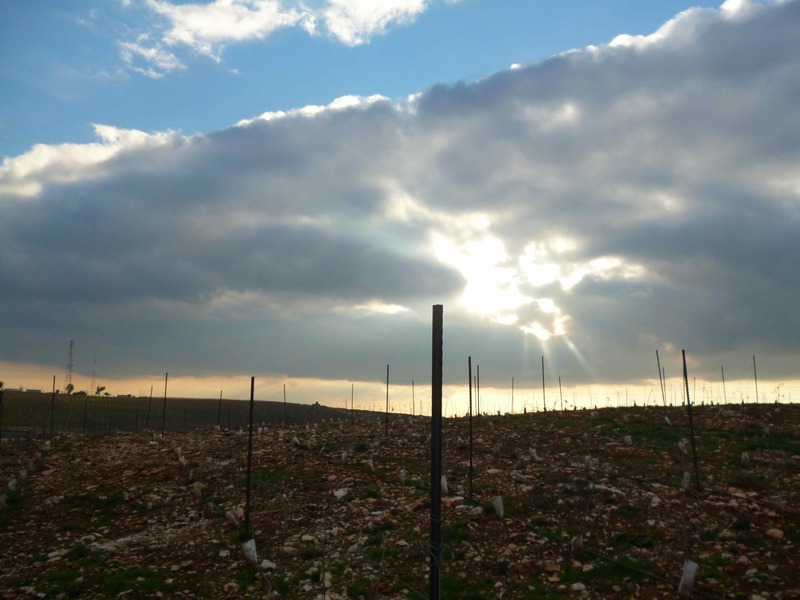 The Shomron is becoming quite the up and coming wine region, much like the Judean Hills was some ten years ago. Now, Castel, Flam, Tzora, and many other wineries have made the Judean Hills a household name. I think the Shomron will soon follow in its next door neighbors footsteps, and come out from under the shadow of the Jerusalem hills to capture its own claim to fame; namely Merlot! The title may seem extreme but there is a clear and present passion and almost zeal to the wine makers and vineyard managers of the Shomron. In no way is that a slight to other wine regions, or to denote that others are not as passionate. The real point is that when I met with 30+ wineries on my past trip to Israel, every winery spoke about their wines and their processes and technology, but none spoke as passionately about their land as the winemakers in the Shomron. I need to stress, that many speak about their vineyards, the terroir, like Tzora and others, but the passion about the land versus the correct vines to grow – the sheer desire to own and plant trees or vines – it was truly an uplifting experience. However, before we get into all of that, this post is about day two of week three during my trip to Israel last year December (2012). This posting is an account of my visit to both the Har Bracha and Tura wineries, in that order. Since we left off, I had completed week one all by myself, and week two partly with my nephew, who yes slowed me down, but truly added so much color and life to the proceedings, that it was a fair trade 🙂 The day started off like any day in Israel, we were set to see as many wineries as possible within a single day! The day started off with Doron and I picking up Gabriel Geller, yes the dastardly mastermind of the previous week’s Monday adventure to Ella Valley, Teperberg, Flam, and Herzberg Winery. It was a grand day trip and one that Geller was ready to try again! Talk about committed or is it that he needs to be committed, I am really not sure! Anyway, we pick him up and off we go to another wine adventure on Route 60! There were many stories that occurred to us on route 60 on this storied day, but being that they were part of the tapestry of the day, we will weave the tails into this wild and ruckus wine trail adventure. 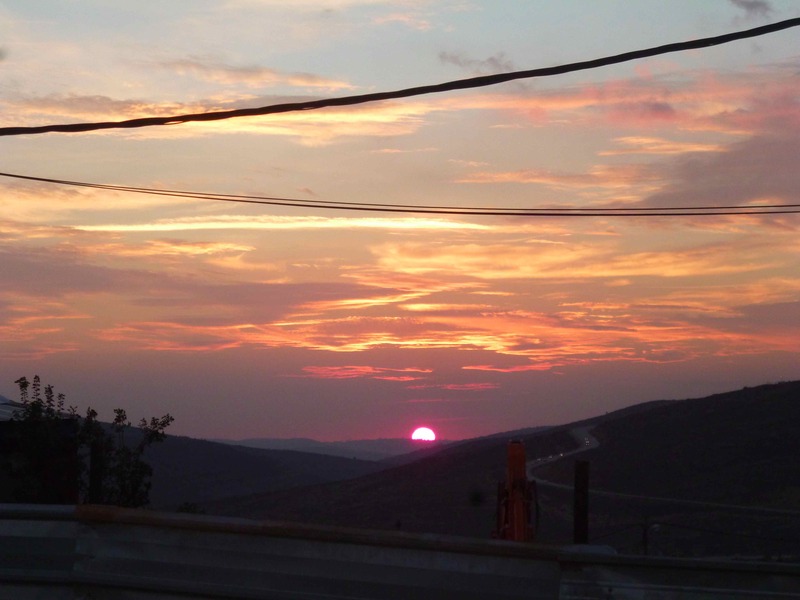 The Shomron day started off with a visit to Shiloh, and then to Gvaot, described here. From there we were pointing our car towards Har Bracha and that is when we should have listened to the darn phone – both of our phones! The madness started with Doron’s phone which texted him with a very important message. You see he has an AT&T phone, a very nice phone actually, that did not easily support popping in a new SIM (the modus apprendre of international cell phone travelers when they visit Israel), so he went with an international plan from the US with certain countries on it. Simple enough plan, that is until you enter route 60, or more specifically, the Shomron area of route 60. AT&T was texting Doron to notify him that his data plan did not work in the new country he had just entered! Well, if that was not enough of a hint, at about that same time, my phone starts to chirp. Now, I must be specific here, we were interested in getting to Har Bracha which is north of Shiloh and we actually have to pass Tura to get there, but that was because Tura was not available at that time, so Har Bracha was where we were pointed towards.